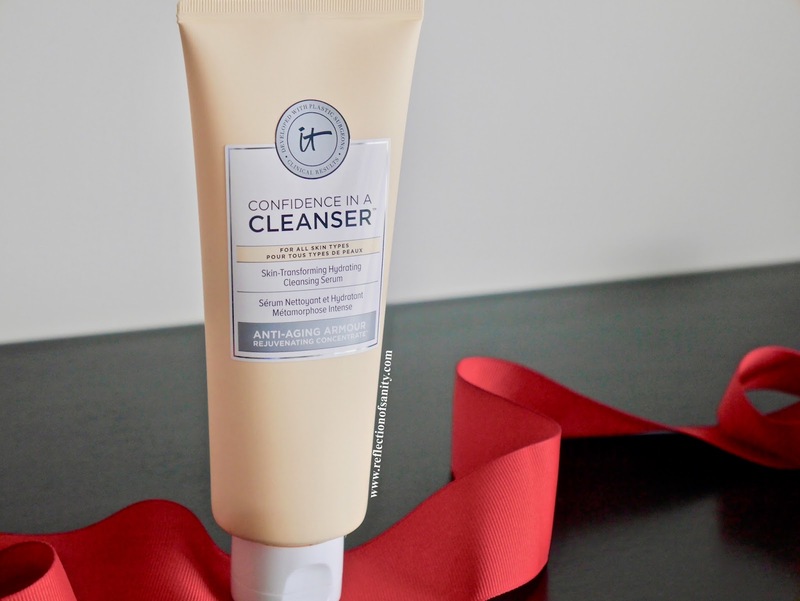 Right up to 2016, I swore to myself and everyone else that I would never ever be fussy about cleansers. My reason was simple; something that lasts on my face for less than a minute wouldn't make any difference to my skin. I was wrong, make that very wrong. Fast forward to today, I easily have 10 (okay, I lie, it's more than 10) cleansers in rotation. 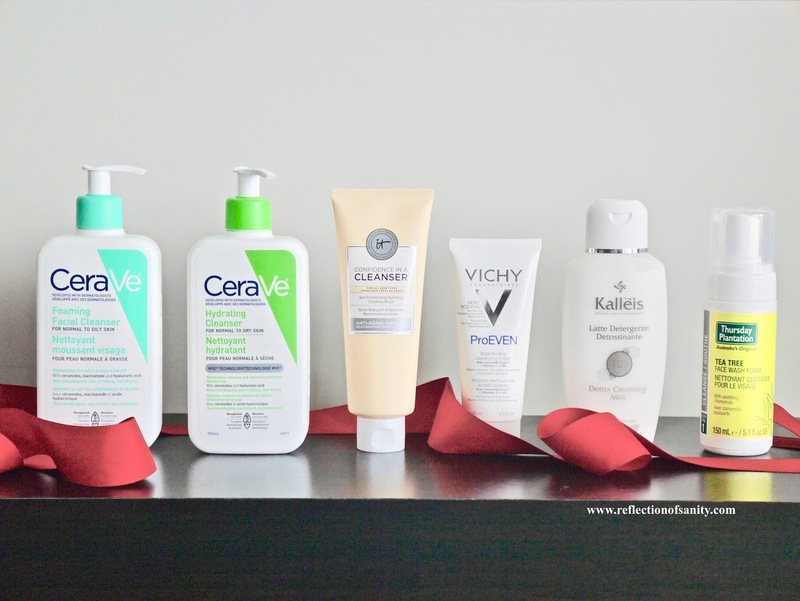 These cleansers are loved for multiple reasons and are from all sorts of price ranges so I thought, why not share the ones I can't stop reaching for? Also, does price really reflect quality? You'll be surprised. 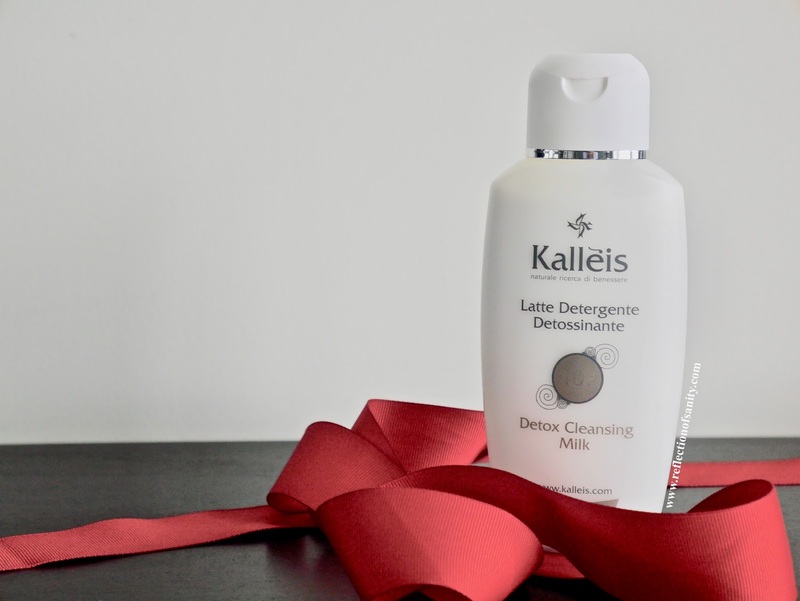 In no particular order, here are 6 cleansers that you should know and the ones that I will instantly repurchase unless the time comes I have to choose food vs cleansers. Food wins, always, forever and ever. What can I say that hasn't been said by everyone else? Hands down the best drugstore facial cleansers that I have ever tried. Cerave Hydrating Cleanser* ($15.99CAD/355mL) is sworn by and highly recommended by the beauty world. This scentless milky non-foaming cleanser is fast becoming one of my favourite morning cleansers. It cleanses without stripping; instead it nourishes and leaves my skin feeling baby soft after every wash. The ingredient list is also remarkable; Ceramide NP, Ceramide AP and Ceramide EOP the fourth, fifth and sixth on the list and it also contains Cholesterol, Hyaluronic Acid and a bunch of fatty alcohols. In short? This no-fuss, no-BS cleanser helps to maintain and restore the skins natural moisture barrier without breaking the bank. 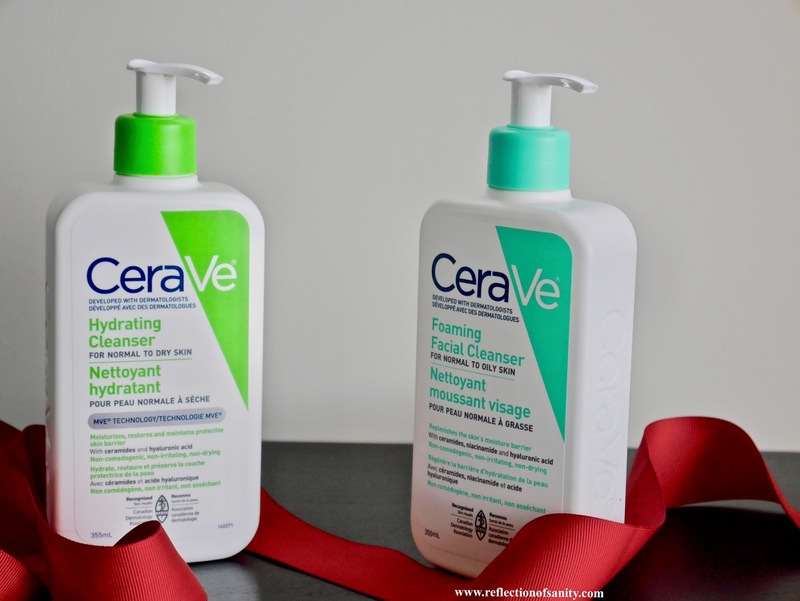 I was initially wary of Cerave Foaming Facial Cleanser* ($14.95CAD/355mL) because most foaming cleansers don't do any favours for my dry-normal skin type but this was love at first use. I have been using it as a second cleanse with my Olay Pro-X facial brush and it cleans without stripping my skin. On the contrary, this is one of the rare few foaming cleansers that leave my skin feeling soft, smooth and most importantly, nourished. Just like the Hydrating Cleanser*, it contains the same three ceramides, Cholesterol and Hyaluronic Acid but this has the addition of Niacinamide. This cleanser also uses Cocomidopropyl Hydroxysultaine (an inner salt derived from the fatty acids of coconut oil *source*) and Sodium Lauroyl Sarcosinate (derived from sarcosine, a natural amino acid *source*) as surfactants instead of the usual SLS and SLES which is a huge bonus in my book. 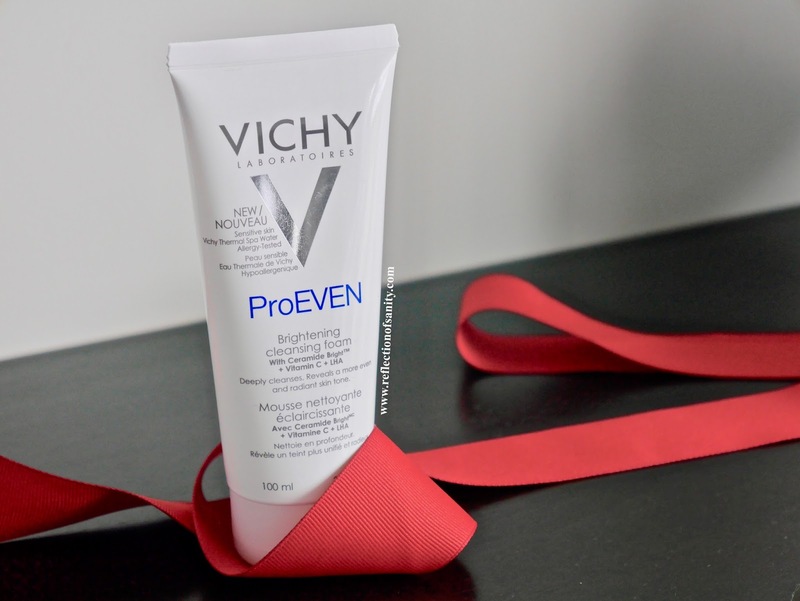 Long time readers know my love for Vichy Pureté Thermale 3-In-1 One Step Cleanser but I might just love this a tad bit more. Okay, make that a hell of a lot more. This is not your ordinary run of the mill cleansing milk as it has an amazing ingredient list. It contains lots of fatty alcohols, plant extracts, Vitamin E, Urea but the most impressive part is the fact it also has Glycolic Acid, Lactic Acid and Malic Acid. The texture is rich and very creamy and I only detect a very soft scent to it. It has a lot of slip to it so I love doing a little facial massage in the morning to wake up my skin. Once rinsed, my skin is baby smooth and I kid you not, it looks so fresh with a little glow like I just finished an expensive facial. This is my first foam cleanser but it's a really good one. I don't use it every day as it tends to dry out my skin but where this cleanser shines is how it helps my skin when I am having a breakout. 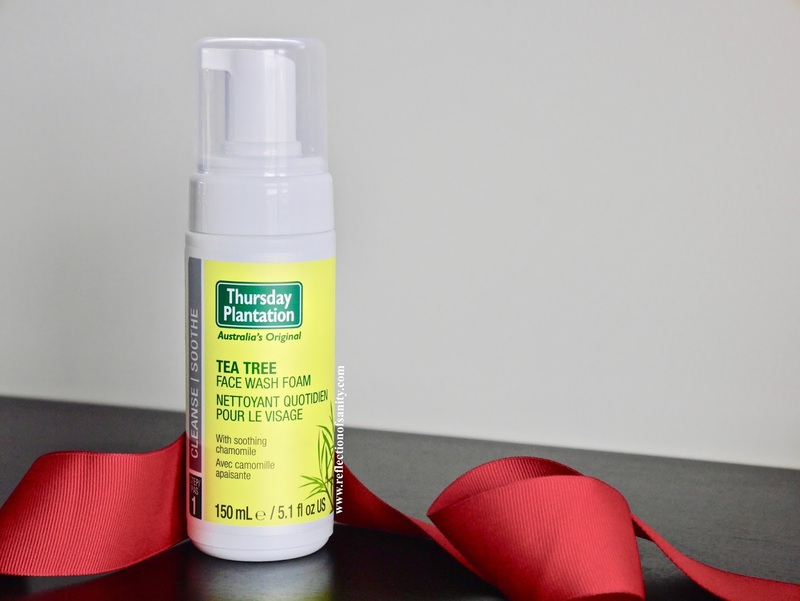 There are only nine ingredients with Tea Tree and Eucalyptus oils and Chamomile Extract to sooth the skin. Be warned that this cleanser is very strongly tea tree scented which took me a while getting used to. That aside, all I need is one pump, massage onto damp skin, rinse and voila! my skin almost instantly feels and looks better. It doesn't banish the spots instantly (let's be honest, nothing will) but it helps to dry and heal existing spots and I find it also stops new spots from coming to head. Love this and I will always have it in my rotation! Know what's the worst thing about a breakout? It's not the spot, it's the damn scarring that will camp on your face for months. You will eventually start naming the spot and then adopt it because that's how stubborn it can be. This cleanser is your best friend for those times as it's a powerhouse in fading spots, scarring and hyper-pigmentation. It contains ceramide, LHA and Ascorbyl Glucoside (a water-soluble derivative of Vitamin C known for its brightening effect) and you will notice an almost instant brightening effect straight after rinsing. The texture is a thick cream and a little foams a very long way and I love using it with my Foreo Luna. The only downside that I can think of is it has a slight perfume scent to it (unfortunately all but one (Mineral 89) of Vichy products are scented) which can be bothersome and the fragrance might irritate very sensitive skin. Personally I freaking love this cleanser and all my customers that I have recommended it to are obsessed with it as well. This is a forever staple in my routine. Another new comer to my stash but fast becoming one of my favourite lazy day cleanser. IT Cosmetics describes it as a hydrating cleansing serum and I can see why. The lotion texture can be applied on to dry and wet skin and it foams when it comes in contact with water. It cleanses without stripping and drying my skin on the contrary, it leaves my skin feeling supple and hydrated. The ingredient list reflects the reason why this cleanser is described as a 'serum'; it contains Botanical Oils and Extracts, Niacinamide, Vitamin E, Collagen (although I'm unsure how effective it is applied topically and only for a very short time), Peptides, Ceramide, Hyaluronic Acid, Colloidal Oatmeal, just to name a few. I am really enjoying this cleanser and I reach for it whenever my skin feels and looks tired and lack lustre. Is it holy grail? No but it's something that I will always have in my rotation. Does this even come as a surprise to any of you? I'm legit obsessed with both cleansers and I continue to reach for both a few times a week. Whenever my skin is feeling dull, tired, spotty, down in the dumps, these are my go-to cleansers. You can read my in-depth review on both here. A cleanser is the first step to prep the skin for your skincare routine and believe it or not, it does play a crucial role. Do let me know if you have tried or are familiar with any of these cleansers. As always, leave me your thoughts!